from the previous week during the 30 day Coloring Challenge! on the tags for day 20, 21 and 23 were colored with Distress Inks/oxides. have enjoyed everything about this challenge as I always do! the world, the coloring and card making community is the best! Happy Mail is the best mail! 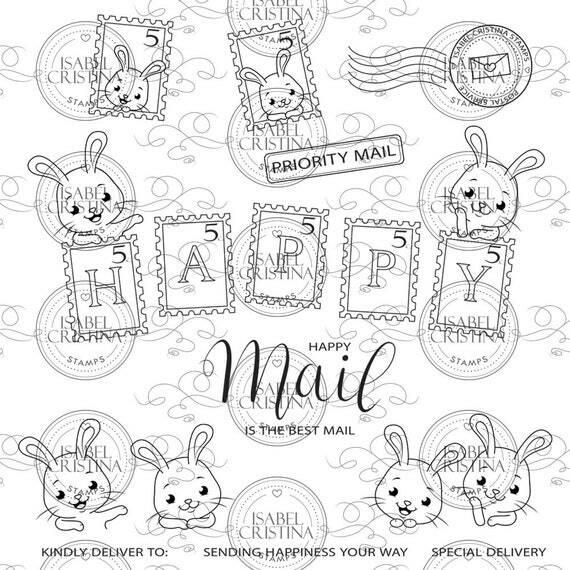 Isabel Cristina using the ”Happy Mail” set! sentiments coming with this set, now available in her Etsy shop! in each set, so much value for money! receive a digi stamp set in your in-box! smaller in size to fit the card. adds a bit of interest. red backdrop were colored with Distress ink Candied Apple. I love the pink and red color combo! for Isabel Cristina using the ”Happy Mail” set! sitting on the grass and a sentiment. I layered the bunnies so they are sitting close together! blended together with a mini ink blending tool. Rectangle Window Die", from Lawn Fawn. And to add some more color I chose a green card base! newest release that is now available in her Etsy shop! There are so many images in this set! images, the options are endless! Now lets talk about the details on this CAS card! I made the card look like the front of an priority over-sea´s envelope. but I didn´t, so I had to go with black & white instead! I layered the postage stamp with the post stamp. ready to mail when in need of sending some Happy mail! 30 Day Coloring Challenge has gone by! the tag for day 16 were colored with Distress Inks. the newest release that is now available in her Etsy shop! and not to mention great sentiments! them together with the postage stamps with letters. be assembled to form the word ”hugs”. 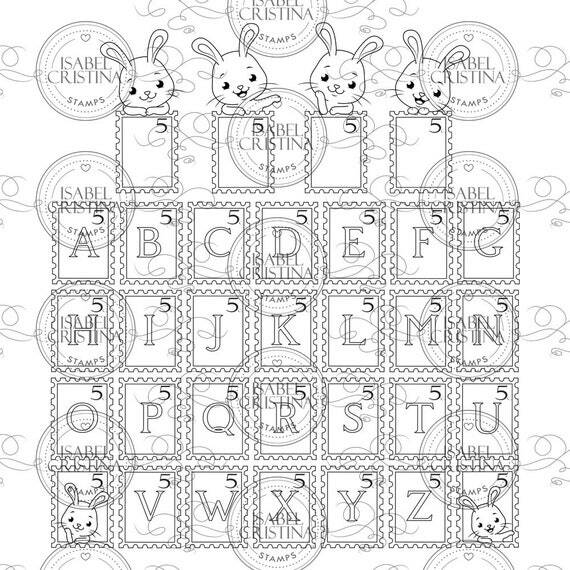 cute bunnies and postage stamps! I have one last Galentine´s card to share! 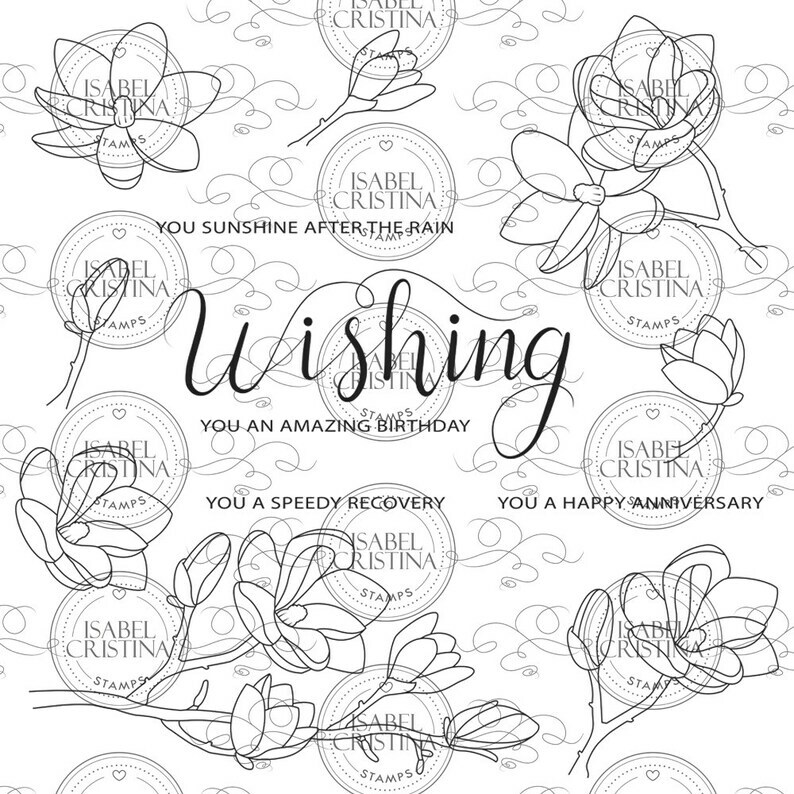 collection from Stampingbella, so perfect for this occasion! this beautiful 6”x6” pad ”Flora No.2” by Carta Bella. that paper decide what colors to use for their dresses. color combination instead. It worked out even better! ”Photo mat die” from Avery Elle. it of splashing some droplets of water to it! I added a little Stickles for some glitter on the flowers! as I am sending it to a dear girl friend! stamp it on the frame of the photo! it from her, trying it out) and I am so pleased with it! ground, sky and clouds which I will play with later! Love it when there are many options! a Scallop edge frame, such a cute detail! from the new Curvy Girls collection from Stampingbella! They are just adorable and so much fun to color! Images and the blue shadow were colored with Copic markers! Copics I used for the yellow/orange dress. Week two of the 30 Day Coloring Challenge has flewn by! Distress inks and Distress Oxide inks for some of the backgrounds. from the "Happy Snappy Crocs" set from Heffy Doodle! a slice of cake and a camera amongst other things! the "Mini picture frames" die set from Lawn Fawn. to the hearts and a coat of Wink of Stella in color clear to the crocodiles! Images were colored with Copic markers. the Wink of Stella, but I wanted to share it anyway. prettiest stamp for a few of my Valentine´s cards! will be perfect for so many different occasions! using the "Photo Mat" die from Avery Elle. inks Spun Sugar and Picked Raspberry. Sentiment was heat embossed in bright pink and golden heart!